BMW 525d and 528i: who needs more than a 2-liter inline-four? BMW built its reputation on the excellence of its inline 6-cylinder engines, yet today it introduces new generations of its 525d and 528i with 4-cylinders. 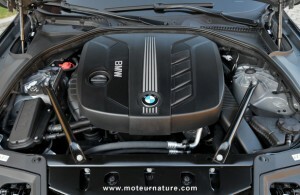 These engines are about to become BMW’s spearhead in the quest for better fuel efficiency. Displacement is 2 liters, with turbochargers and direct fuel injection to make power and torque like a bigger unit. The 525d and 528i are both big sellers in Europe. The first one, the diesel, makes 218-hp and an incredible 332-lb/ft of torque at a low 1500-rpm. All that from a tiny 2-liter engine, thanks to 2 turbochargers. A small one that operates at low revs, and a larger one running at higher rpm. 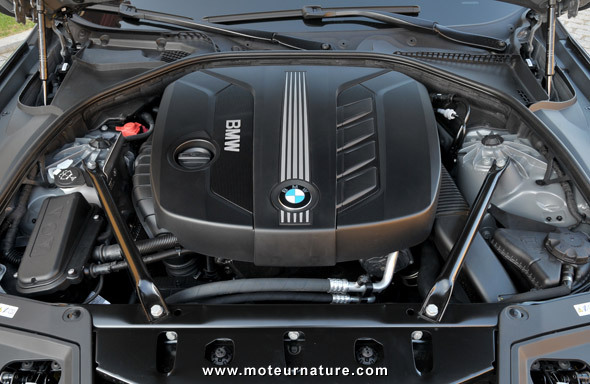 The engine in the 528i has only one turbo, but that one has twin-scroll technology, which makes it function like 2 smaller turbos, one for 2 cylinders. It makes 245-hp and 258-lb/ft of torque at 1250-rpm. These new engines may not have the sound of their famous 6-cylinder ancestors, but they shine in fuel economy with an official 34 mpg combined rating in the European tests for the 528i. Pretty good for a family sedan which can sprint to 62-mph in 6.2 seconds. 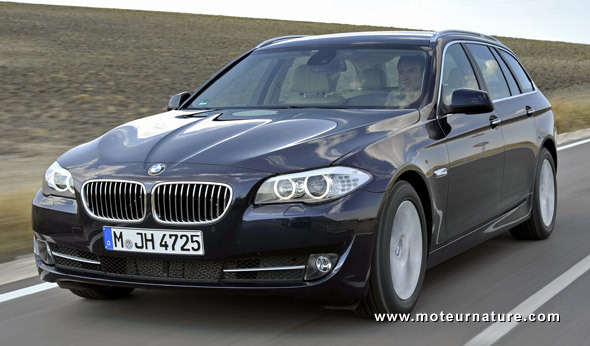 The diesel 525d does even better, with a fantastic 47 mpg combined rating. An amazing value for a car this size, with a 150-mph top speed. Those values corresponds to the 5-series sedan (ours pics show the 525d wagon) with standard 6-speed manual transmission and standard 16 inch wheels. A Stop & Start is also standard in both models to get such low consumption, with accordingly low C02 emissions. 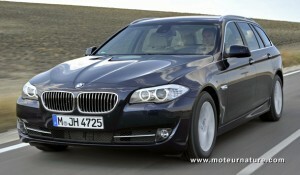 No word yet about the 525d crossing the Atlantic, though the 528i will. 218 hp and the torque!! Unbelievable!